From the Wall Street Journal best-selling co-author of the Tier One series comes a pause-resisting sci-fi thriller about the ultimate battlefield: the human mind. Deep in the Afghan mountains, Sergeant Michael Pitcher discovers an object with powers that defy explanation. After interacting with it, he suffers a traumatic seizure and is flown home for evaluation. Cleared by the doctors, Michael goes home to his relieved wife, Josie. But he’s a changed man. The once-loving husband is now coldly withdrawn. After emptying the couple’s bank account, he disappears into the night. 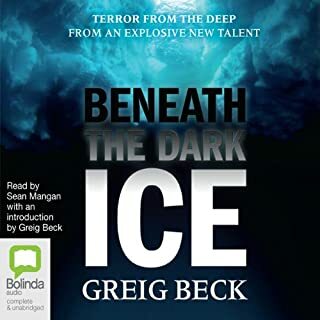 When a team of scientists connected to Sergeant Pitcher vanishes without a trace, CIA agent Dean Ninemeyer comes to him for insight - only to find that the recovering soldier has also disappeared. Dean and Josie must now join forces in a desperate race against time, searching for answers in an ever-twisting mystery. What they uncover is a chilling conspiracy that already has the fate of the world in its grip. ©2018 Brian Andrews (P)2018 Brilliance Publishing, Inc., all rights reserved. I've never written a full review, just answered the pre-set questions, but this book made a special impact. I won't re-hash the story, that's all in the book summary. I admit that I mainly bought this book for the narrator. I just LOVE Ray Porter's narrations and the summary intrigued me. When I was about 2/3 through, I was at first disappointed that the deliberate character developments from the beginning abruptly stopped and were replaced with pure action. To be honest, there could have been more bridges from a character's backstory to bring us to current events, but I quickly forgot about those gaps. The showdown was perfectly paced and easy to follow, it was all logical. After the story concluded and the epilogue started, I expected the usual continuation of the character's life after the event, but got something very different. I have over 600 audiobooks and have read many more paper books in my life, but rarely has my jaw literally dropped. And I mean literally. It changed my perspective on the whole story and I really hope that there will be a follow-up book that picks up where 'Reset' ends. Don't get me wrong, it's a fully completed story without a cliffhanger, but with endless possibilities. Go ahead, spend that credit, you won't regret it! What if the human brain could be hacked and reprogrammed? 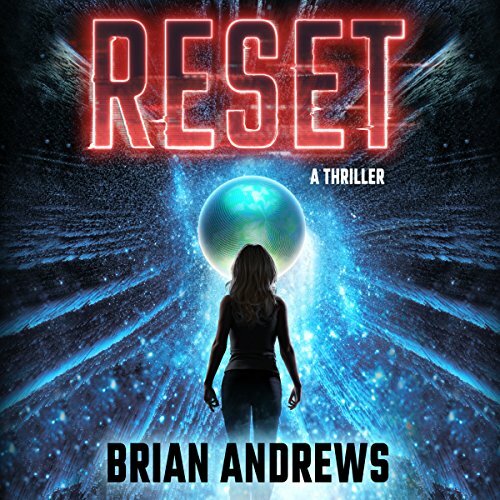 In Reset by Brian Andrews, a mysterious floating orb is found in a cave deep within the mountains of Afghanistan. Those who come into contact with the device suffer seizures. Upon recovery, their minds and bodies are hijacked and set on a specific course to alter the fate of earth and humanity. The unique premise caught my attention, and I found it a suspenseful and fast-paced read. 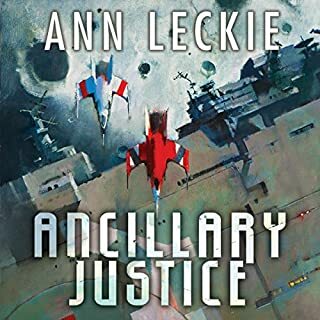 Though some of the scenes and dialogue felt a little formulaic at points, the overall plot was certainly unique and provided a couple of very intriguing turns that more than made up for any lapses in writing style. It was easy to become immersed in the interwoven concepts of near-extinction events and the possibly alien technology that could hack the human brain. The separate stories of the characters blended together well to culminate in a series of events to battle the influence of the mysterious orb. Brian Andrews’ background as a Navy veteran and nuclear engineer lend well to this military thriller with a taste of science fiction. He is also the author of the bestselling Tier One thriller series with Jeffrey Wilson. Action mystery sci-fi suspense thriller...Whew! 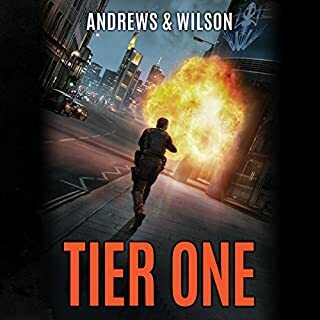 The author of this book is the same author of the Tier One books cowritten with Jeff Wilson. If you have not listened to those books I would recommend that you do as that is a fantastic series. 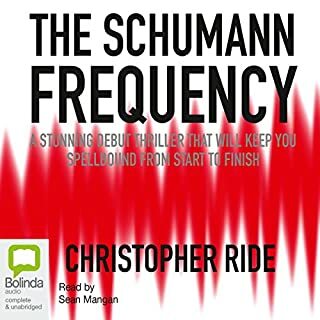 If you have kindle unlimited those books are FREE to read and listen to. This book too is a freebie on Kindle unlimited. Not that I'm pushing but it does kind of pay for itself in the long run. Anyway, about this book. To begin with, I have to start by telling you that this is narrated by Ray Porter. I always enjoy listening to him, his narration it outstanding. He always gets the correct emotions and sarcasm and levity or seriousness. So it's 1963 and Captain Will Barnes wakes up in a padded room, wearing a straight jacket, parched mouth and no clue as to why. When he finally meets with his commanding officer he doesn't remember a thing about what brought him to this place. Nor does he remember when the colonel tells him that he has murdered his own wife in their bed three weeks ago. Now Michael Pitcher finds something in a spherical cave chamber in Afghanistan. There is a comatose terrorist and then he hears a woman talking to him in the cave, but no one is there. The voice says it wants to know him. Meanwhile in upstate NY an old military missile silo has been purchased and is being prepared for doomsday by Willie Barnes, he's now 76 years old. He gives Josie Pritchard (a journalist) a tour of his silo. When she says something under her breath Willie turns and asks "does she talk to you too?" I can't say any more without spoiling this book. This is an EXCELLENT sci-fi mystery thriller with plenty of action and suspense. 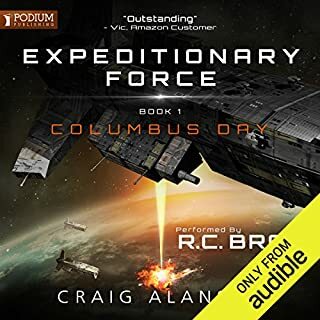 I am a fan of Brian Andrews books and a huge fan of Ray Porter so it's not surprising I enjoyed this audible story. It's a military techno thriller, sci-fi, action, type novel without politics which is becoming increasingly hard to find. The subject matter got my attention but when I saw Ray Porter was narrating I couldn’t spend my credit fast enough! I was not disappointed!! This one really does have it all, science, government agencies, a prepper, something alien, possible end of the world, love, betrayal, zombie ants (sort of), you get the idea! Somehow it all works! Could be the voice of Ray Porter, he can turn silver into gold, but overall I think Mr. Andrews did a solid job here and I thought it was a fun ride! As other reviewers mentioned there is a glitch or two, I didn’t find it a big deal in the scheme of things. Also there is a commentary by the author at the end, some people seem to have their feathers ruffled over it, my feathers remain unruffled. It’s just a commentary not the end of the world, or is it? You be the judge. The Reset has been a refreshing departure after having chewed trough a few titles as of late that did not capture my interest nor retained my attention. This however is a page turner, “brain candy”, an easy listen with a simple yet captivating story arch that comes with a bonus message and a recommendation. Ray Porter, the narrator of the Bobiverse series, is great as expected though there are a few stumbles and mishaps along the way. Still, a top notch performance. Also, so great to finally come across a stand-alone book!There is room for a possible continuation but it would not be necessary as the ending is satisfying as-is. Getting a little tired of series whose conclusions may come years in the future if ever. The story itself is action packed and engaging, everything you want in a thriller. Since listening to the book, I find myself thinking about how different perspectives, real/honest or manipulated are ultimately irrelevant when facing a existential threat. It is really hard to review without giving things away, so just give it a read. You wont regret it. Loved it! I would circle the block a couple times just so I could finish a chapter. Very entertaining in an action packed, don't really have to think about it kind of way. If you want a cerebral thriller, look elsewhere but if you just want an entertaining time pass for the commute as I did, this fit the bill. not sure who to blame here. the story idea, is ok/good, but I'm not sure if it's the editor or possibly director of the performance, there are huge gaps in the story, like sections were edited out or removed, can't imagine that's how it was written. the characters will be discussing something that happened in the story, but the listener never hears it. the main character picks up her husband, sentence ends, then next sentence the main character is having lunch with a friend talking about what happened the night before with her husband, things important to the story, but the listener never hears. I really enjoy ray porter, one of my top 5, but one second the character has an English accent, next it's gone, again possible editing failure. didn't bother listening to the last 30 minutes. too bad, the story idea had potential. Ray Porter was amazing as always. Still remains my favorite narrator to date (main reason I bought the book). 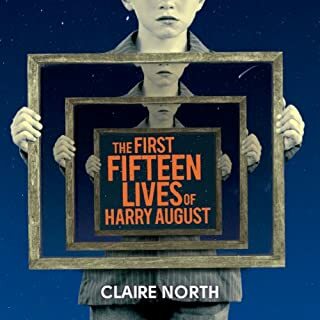 I suppose I should have picked up various clues throughout, but the entire book ended up being one big guilt trip for climate change; Only to be concluded in the final chapter by the author's shaming explanation of how terrible the human race is and what a horrendous job we've done preserving the Earth. blegh. I applaud the initiative, Brian, but I did not buy this book to be lectured and shamed about the effects of Climate Change (not saying I disagree with the premise). Otherwise, I thought it was a well-crafted story! And I thoroughly enjoyed it until the abrupt ending.